Reflecting a growing interest in phased array antenna systems, stemming from radar, radio astronomy, mobile communications and satellite broadcasting, "Array and Phased Array Antenna Basics" introduces the principles of array and phased array antennas. 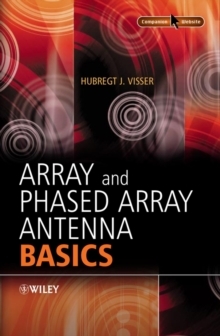 Packed with first hand practical experience and worked out examples, this is a valuable learning tool and reference source for those wishing to improve their understanding of basic array antenna systems without relying heavily on a thorough knowledge of electromagnetics or antenna theory. 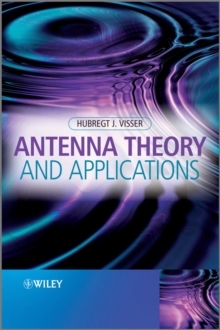 It features a general introduction to antennas and explains the array antenna principle through discussion of the physical characteristics rather than the theory. It explores topics often not covered in antenna textbooks, such as active element pattern, array feeding, means of phase changing, array antenna characterisation, sequential rotation techniques and reactively loaded arrays. It guides the reader through the necessary mathematics, allowing them to move onto specialist books on array and phased array antennas with a greater understanding of the topic. It is supported by a companion website on which instructors and lecturers can find electronic versions of the figures. 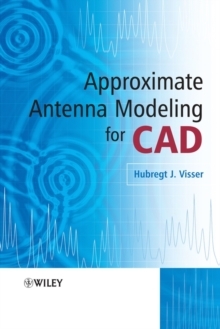 An ideal introduction for those without a background in antennas, this clear, concise volume will appeal to technicians, researchers and managers working in academia, government, telecommunications and radio astronomy. It will also be a valuable resource for professionals and postgraduates with some antenna knowledge.